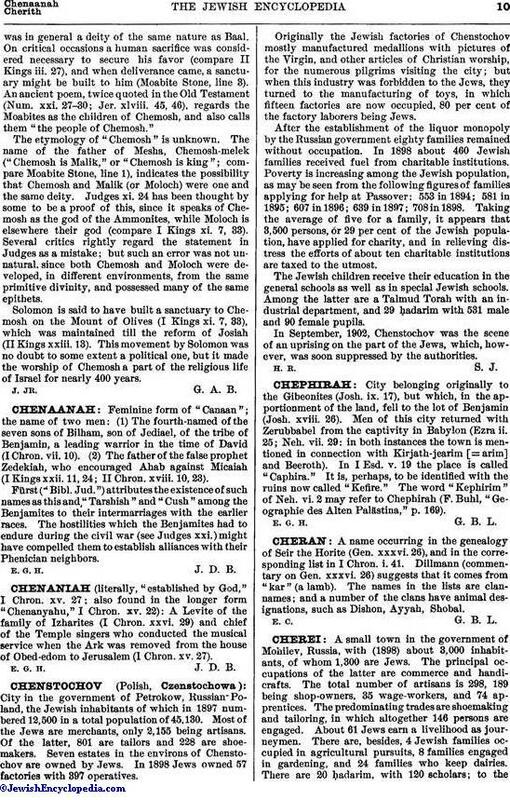 A small town in the government of Mohilev, Russia, with (1898) about 3,000 inhabitants, of whom 1,300 are Jews. The principal occupations of the latter are commerce and handicrafts. The total number of artisans is 298, 189 being shop-owners, 35 wage-workers, and 74 apprentices. The predominating trades are shoemaking and tailoring, in which altogether 146 persons are engaged. About 61 Jews earn a livelihood as journeymen. There are, besides, 4 Jewish families occupied in agricultural pursuits, 8 families engaged in gardening, and 24 families who keep dairies. 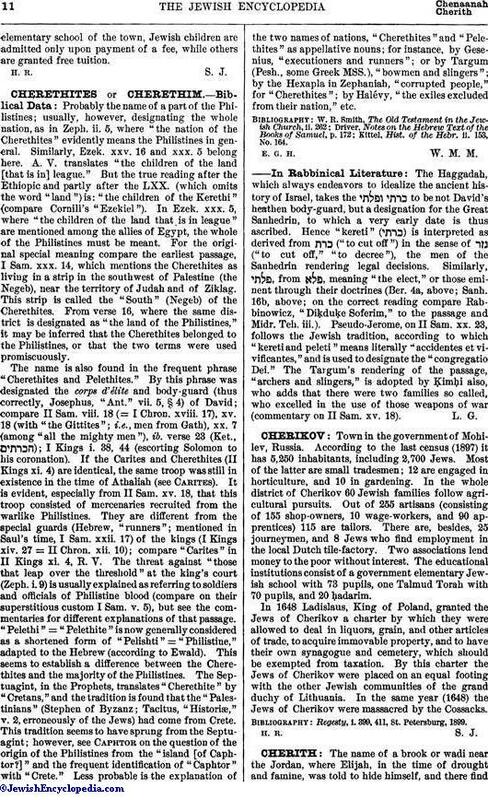 There are 20 ḥadarim, with 120 scholars; to theelementary school of the town, Jewish children are admitted only upon payment of a fee, while others are granted free tuition.